It’s time to do a review to make sure runners receive the best footwear possible to remain happy, healthy, and active without sacrificing too much money or comfort. On today’s list are the Brooks Adrenaline and ASICS Kayano, two popular models that continue to be seen on streets and trails alike. When determining which shoe is better and honestly whether either one is a good option, it’s important to know what makes a shoe comfortable, wearable, and good for the body. 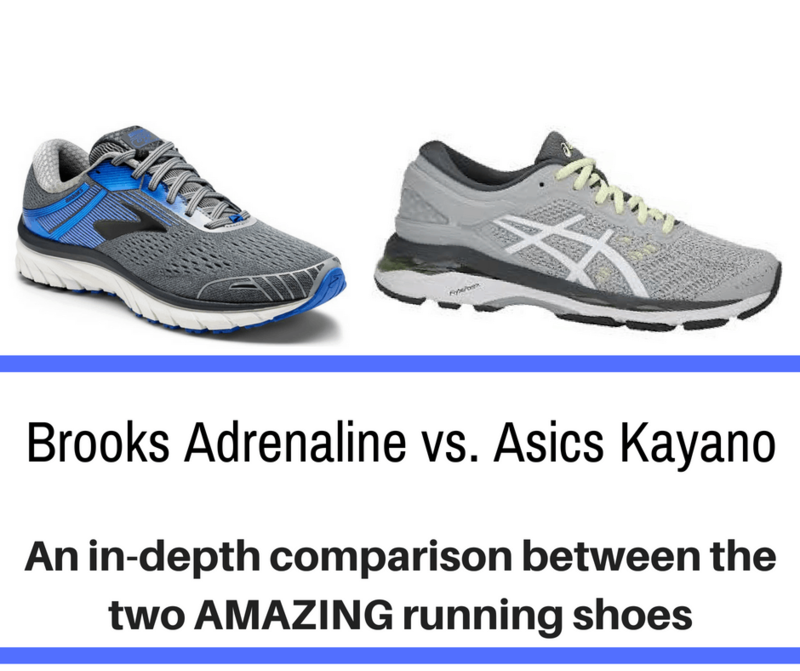 A full detailed analysis of Brooks Adrenaline vs Asics Kayano is below but for a quicker comparison here are the main differences. Asics and Brooks have a long-standing debate amongst running circles . - which one is better. In this article we break down the differences. 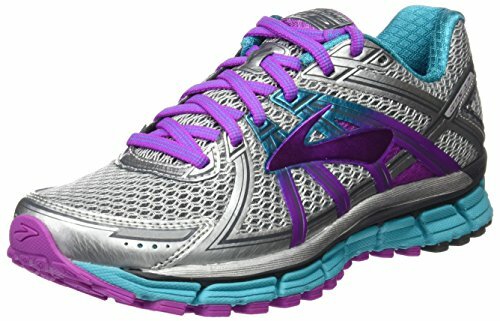 If you curious about what the major differences are between Brooks and Asics, check out this article. The companies in this review are actually some of the oldest creators of athletic shoes. Brooks Sport, Inc. opened in 1914 as Brooks Shoe Manufacturing Co., Inc., according to the company website. They sold footwear designed for gymnasiums and actually invented the rubber stops on roller skates. 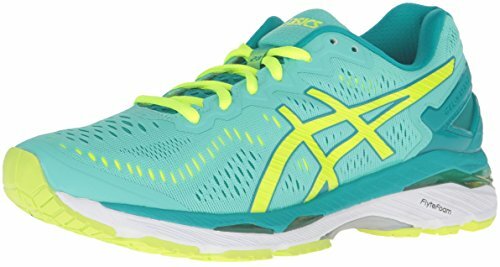 ASICS is a Japanese sportswear company which opened in 1949 and first started making gymnasium shoes as well. It, like Brooks, is now one of the top manufacturers of athletic footwear and continues to innovate as more information becomes available on what makes running shoes good. Before we provide a complete review, I'd like to provide the starting point of evaluation. There are a lot of resources online which claim to know what makes a running shoe the best for an athlete, but the best guidelines come from the American College of Sports Medicine (ACSM). This organization specializes in all things related to physical health and sports and thus created a few simple rules which people should follow when choosing footwear. When picking a shoe, people should look at weight, slope, and whether additional features are included are not. Weight refers to the physical weight of each shoe. The ACSM recommends that female footwear should weigh no more than 8 oz. while male examples should be roughly 10 oz. This is important because shoes which are too heavy can put excess pressure on a runner’s joints and muscles, making it difficult to exercise and the person more likely to injure themselves. Slope is the angle of the bottom of the shoe. Most high schoolers learn about a geometric slope, which is the rise/run of a line. For an athletic shoe this term focuses on the height difference between the heel and sole of a running shoe. 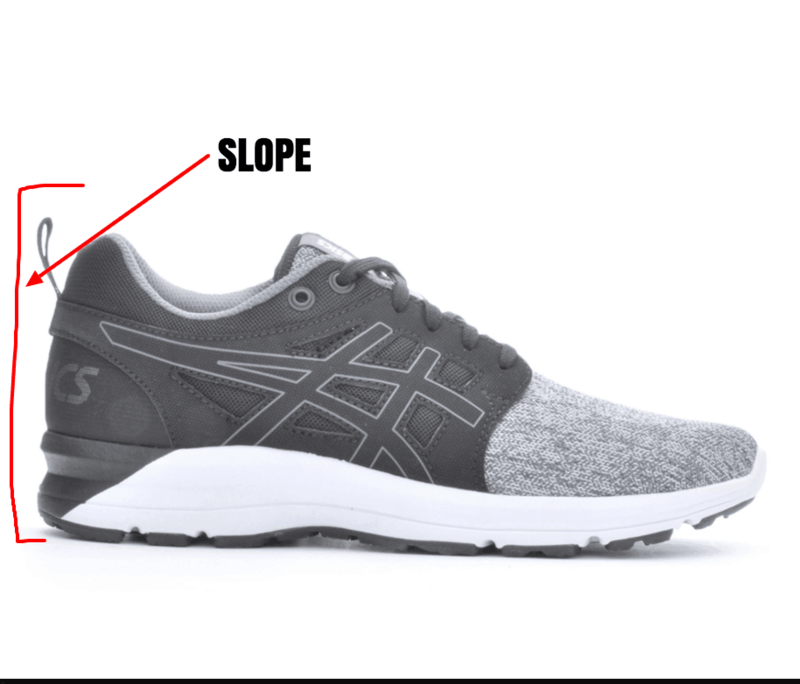 According to the ACSM, the best shoes will have almost no slope because the angle can cause injuries or exacerbate previous conditions, making it difficult to exercise safely. Finally, the ACSM recommends that the best running shoes will be ones without a ton of extraneous features like cushioning, padding, or decoration. There are a couple of different reasons for this rule. First, too much padding can change the natural posture of the foot, which can put extra pressure on the joints. Second, too much decoration will get in the way of the runner, potentially reducing speed and increasing the risk of injury. So, the best running shoes will be ones that are lightweight, have almost no slope, and a minimalistic design. Brooks Adrenaline on average weighs between 8.7 oz. for women and 10.7 oz. for men. They come in a broad range of colors and styles but focus on providing a simplistic fit that works well for street running. The typical slope on the bottom of the shoes is between 10 and 11 mm. The interiors tend to work for people who have flat or average arches, while other individuals might need to seek a shoe with extra support. The Adrenaline has an average fit, but some people might find the design too narrow, especially around the toe box. Stay on top of your stride with the perfect balance of cushioning and stability of the Brooks Adrenaline GTS 17 running shoe! There is extra padding on the bottom of the shoes to improve comfort without causing the wearer’s ankles to roll. The sizing is mostly what people would expect, though many recommend that the buyer go around a half size larger than usual since the Adrenaline can run small rather than large. The refund process is simple and exchanges are possible. The Adrenaline was designed with breathable mesh that allows air to cool the feet. The shoes are not waterproof. If you are looking for variations of colors, Brooks has a ton of different styles in the latest iteration of Adrenaline. The Adrenaline is comparable to the Ghost and Ravenna but tends to be the first choice for newer runners, especially those who have flat feet. Asics Kayano has over a dozen different models in this line, but they do have some common features which contribute to whether they are comfortable or not. First and foremost, a single shoe in this line tends to weigh around 9 oz. for women and 11 oz. for men. Unlike a lot of running shoes, the Kayanos have a different slope for men and women’s variants. The men’s shoes have a slope of 22 mm. while women have 25 mm., creating a high heel that can be uncomfortable for runners. However, the shoe itself is padded and uses flexible, breathable material for a cool fit. There is a mid-unit on the bottom of the shoe designed to absorb shock, which most reviewers enjoy. The Kayanos were also designed for heavy duty running and work well both for daily joggers and marathon runners. The shoes also come in many different colors and styles, making it easy to find something that works for anyone. A few people reported that the mid-unit could be uncomfortable. There is arch support for average and high arches, but not for flat feet. The Brooks Adrenaline and ASICS Kayano are difficult to compare since the Adrenaline line is made for street running while the Kayano line works best for distance and intense runners. The Kayanos do have some red flags, such as the high weight and slope, but they seem to work well for people who need the extra support and want something which won’t fall apart in a few months. So, which is better? In general, the Brooks Adrenaline shoes better follow the guidelines created by the ACSM, but it will ultimately come down to a runner’s preferences. Someone who is interested in lightweight footwear meant for street running would have better luck with the Adrenaline line, but someone who does distance and marathons should invest in the Kayanos since they are sturdier. Remember to where something comfortable and know what arch style supports your feet the best. This way, you can always make sure you have the best running shoes available. People didn’t always know what was best for their feet. In ancient times, it wasn’t uncommon for messengers and runners in places like South America to sprint in leather sandals designed to protect the soles of their feet but leaving their toes exposed. Most shoes didn’t even have a lot of support, as leather was expensive and peasants typically wore wooden footwear. The LA Research Project notes that what most people would consider a running shoe didn’t actually emerge until roughly 200 years ago, when people during the 18th century tried to make full leather shoes for exercise. Unfortunately, these stretched when wet and didn’t offer much comfort since they were hot and not breathable. Eventually, people started to combine rubber soles with leather to create a surface that would stick to the ground and not slip. After a few more decades, around 1852, manufacturers began to sell special running shoes with spikes on the bottom to help athletes grip the ground. The next major development was vulcanized rubber, which is the process of combining rubber and fabric. The creator used this to make soles with treads and the company eventually realized they could market the resulting footwear as athletic shoes in 1917. 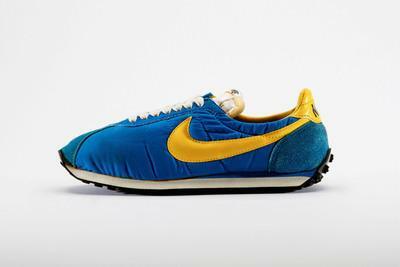 After a few more decades, a different inventor realized that shoes needed to have different treads based on whether the athlete would be sprinting or running long distance.